You can't buy experience but you can learn from Keith's. I spent 6 weeks sailing with Keith in 2011. With his patient teaching I was able to take on responsibilities and reach goals that I hadn't thought possible. 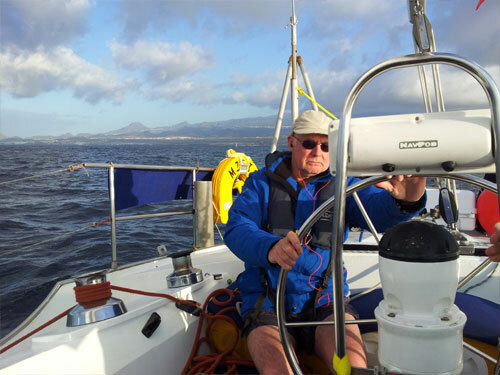 Kinetic, the main teaching yacht, is a strong deep keeled boat which sails well in all wind conditions (if you have been listening to Keith and trimmed your sails appropriately!) The school's home Marina is a safe and welcoming environment too. A meal and glass of wine await your return to berth.